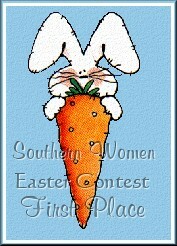 Welcome to our Award page....we have outstanding pages here in the Southern Women Webring. What better way to showcase our members homepages then here in our Award Showcase. We hope you will visit the sites awarded here each month. Another excellent way to celebrate the South and get to know our Southern Sisters better. Where can you go for a marvelous Fried Chicken Recipe, inormation on 'Kudzu and Mayflies', and beautiful graphics in one stop?? 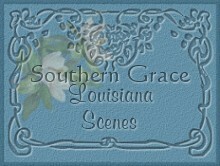 Why Southern Delights, of course!!! 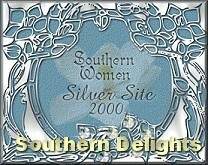 This Sterling Silver award winner has truly earned the title of Southern to describe her homepages!! A fresh new look at our world and the extraordinary things about it!!! While you are there...Jane will offer a Mint Julip...cyber, of course, but just the same....enjoy!!! take our word for it!! Louisiana Scenes through the eyes of Barbara's camera. you are there. be sure to visit her award winning photo gallery. You make pick you award up here.! !